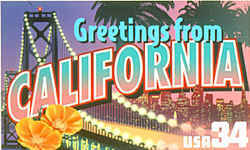 California has officially designated West Coast Swing as the state dance (California also recognizes the American Square Dance as official state folk dance). Originating in California in the early 1930's with the evolution of "swing-jazz," or "big-band" music, west coast swing dancing is an intricate dance that requires very energetic (even acrobatic) dancing. In the 1950s and early 1960s one name for West Coast Swing was "Sophisticated Swing." West Coast Swing Dancing, related to the Swing, Whip, or Jitterbug, came into being in the early 1930's in response to new musical forms then sweeping the land. It was created at the grassroots level and devotees of this art come from every conceivable ethnic, religious, racial, and economic background. West Coast Swing originated from an earlier dance known as the Savoy Style Lindy, which was done at the Savoy Ballroom in New York in the early 1930's. Although WCS was not invented by, it was indirectly spawned by a man whose name was Dean Collins, who also danced at the Savoy while living in New York. Collins came to California in the 1930's to get into the movie business and brought with him 'his version' of the "Savoy Style Lindy." Collins, after dancing in Hollywood for a couple years and dancing in many night clubs began dancing and competing. He would get to know some of the other local dancers, which have been said too have "not seen that style of swing before, but they liked it very much." It was alot different than what they were doing at the time (which they called the "Whip". Collins started teaching "his version" to L.A. and soon everyone on the West Coast was doing it. Dean finally got his break and started doing many Hollywood movies in the 1940s and 1950s. He brought many local swing dancers who he had taught this "new style" with him into these movies as well. During this time, the movies billed this dance as "Jitterbug or Rock and Roll." Many soldiers danced this version of swing in W.W. II. The soldiers and U.S.O. took "West Coast Swing" AND OTHER FORMS OF SWING all over the world ... disguised as the newer term of Jitterbug or Rock and Roll (before these titles swing was known as the Lindy Hop). Dean past away in the mid 1980's. AN ACT to add Section 421.5 to the Government Code, relating to state dances. 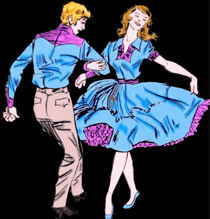 (a)West Coast Swing, also known as Swing, Whip, or Jitterbug, came into being in the early 1930's in response to new musical forms then sweeping the land. It was created at the grassroots level of our people. Devotees of this art come from every conceivable ethnic, religious, racial, and economic background. Age is no factor, nor is gender. Among the ranks of swing dancers, one can find Judges, School teachers, Lawyers, Waitresses, Salesmen, Doctors, Students, and so on. West Coast Swing dancing is an intricate dance, requiring a great deal of coordination, good timing, and intelligent application. It is healthy and a joyful activity that belongs to all our people. They created it, they nurtured it, and they kept it alive. 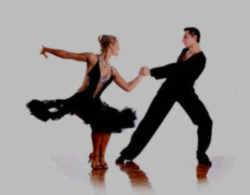 West Coast Swing is an American dance which is done to American music. It originated in California and is danced in competition nationally and internationally. (b) Square Dancing is an American folk dance which is called, cued, or prompted to the dancers, and includes Squares, Rounds, Clogging, Contra, Line, and heritage dances. The Square Dance has a long and proud history. 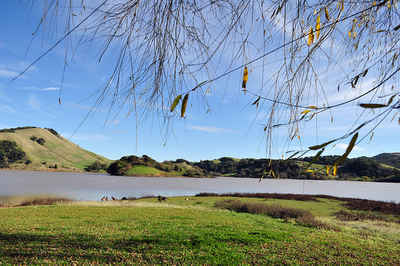 It is an exciting art form that is truly an original of our country, and has been danced continuously in California since the "Gold Rush Days." 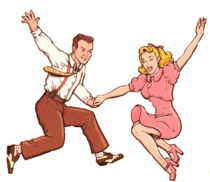 421.5 (a) West Coast Swing Dance is the official state dance. The law designating the West Coast Swing Dance as the official California state dance is found in the California Government Code, specifically Title 1, Division 2, Chapter 2, Section 421.5.